Automatic switching to rear view system for parking safety when car reverses. 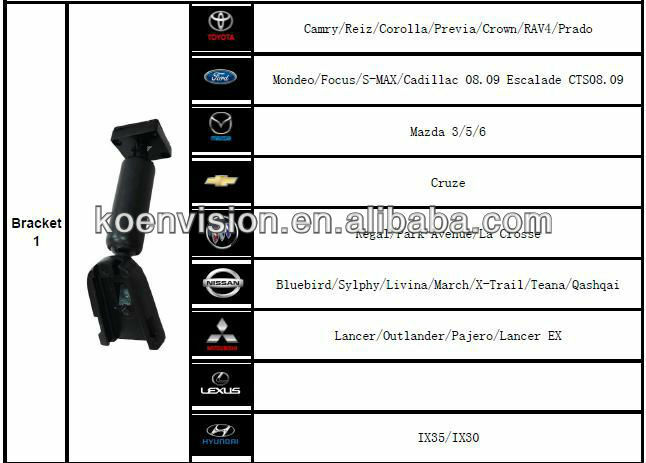 We have 10 different models of car rearview mirror holder to fit for most of the cars in the market. 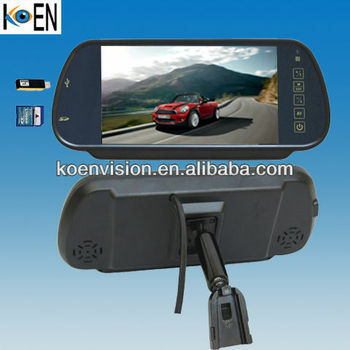 The rearview mirror can be connected with FM receiver, and back-up camera withFM transmitter. 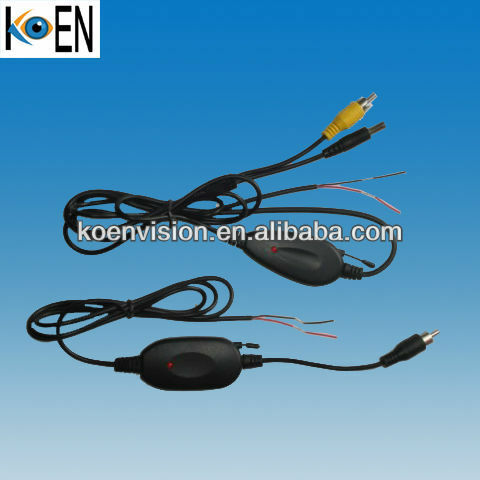 No more need to wire from back-up camera to front car monitor.